Instant slimming. You know that part of your tummy that you simply don’t like. The part that certain shirts or blouses have a tendency to accentuate. 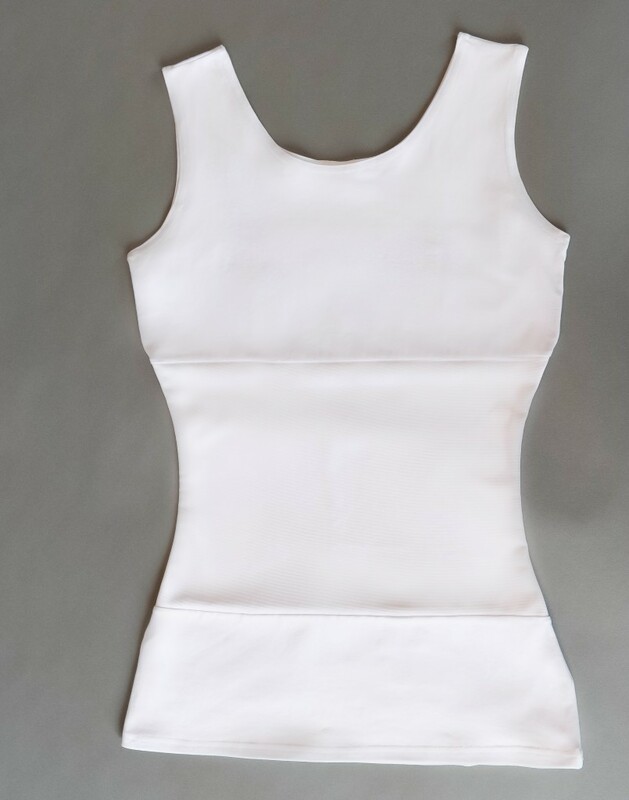 Whether it is baby fat, extra skin, or unwanted bulging… put this tank on and watch your tummy flatten. Eliminate a layer. Slimming device and undershirt in one. No need to wear a garter or similar device and then an undershirt to hide it. This tank has cotton on top, tummy tuck in the middle, and cotton on the bottom to either tuck in or is long enough to layer. You simply need to try this style on to understand how amazingly comfortable you will feel. This addition to your wardrobe will provide unimaginable results.